The top roadside attraction in Washington State resides right here in Spokane. 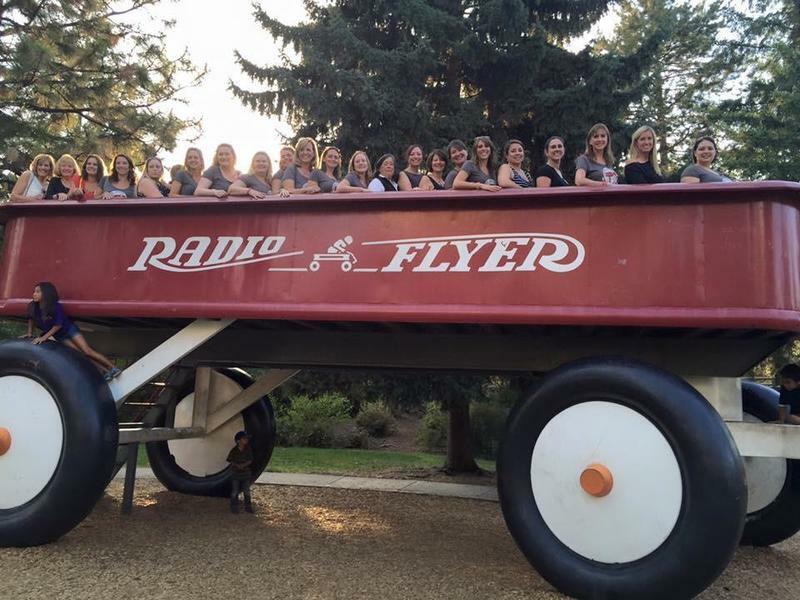 The Red Radio Flyer wagon in Riverfront Park was born out of a lifelong love for this community by the Junior League of Spokane. It continues to fulfill its dedication promise. Designed by local artist Ken Spiering, the Red Wagon weighs 26 tons and is made of steel and reinforced concrete. This mammoth wagon is designed to support the weight of up to 300 people (100 pounds per square foot). It took Spiering a full year of 17 hour days to complete the sculpture. On any given day children and adults alike enjoy the slide. The Radio Flyer brand just celebrated its 100th birthday and the company commissioned a larger wagon that sits in downtown Chicago. The Spokane wagon has been voted by USA Today as the top roadside attraction in Washington. Spiering has created statues around Riverfront Park including The Call and the Challenge, the fish sculptures that wrap around the Convention Center, and other public art. He created a sculpture for the City of Coeur d’Alene as well as furnishings for the Whitworth Presbyterian Church chancel. Untitled: Opening day of the Radio Flyer Wagon in 1990, Ken Spiering enjoys a moment on his beloved creation. Reflecting in a Inlander interview, Spiering wishes that people would not feel the need to “tag” items. “the first few times I had been up there where the paint on the interior of the wagon bed was essentially scraped clean from all the people scratching through it with their names and everything, I was a little heartsick.” ~ Source: Salzano, Matthew. 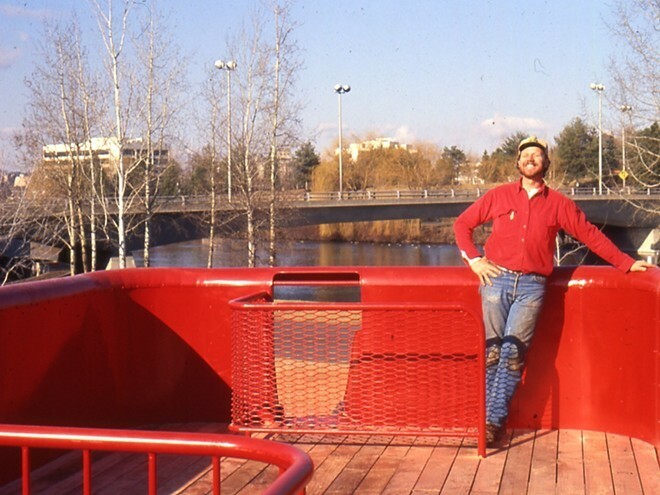 "Ken Spiering Reflects on Building the Riverfront Park Radio Flyer." Inlander. April 22, 2018. Accessed March 12, 2019. https://www.inlander.com/Bloglander/archives/2015/08/17/exclusive-photos-ken-spiering-reflects-on-building-the-riverfront-park-radio-flyer. 507 N Howard St, Spokane, WA 99201 ~ The wagon is in Riverfront Park near Washington and Spokane Falls Blvd. Melinda Barlass Bowman, “26 Tons of Oddity,” Spokane Historical, accessed April 24, 2019, https://spokanehistorical.org/items/show/819. 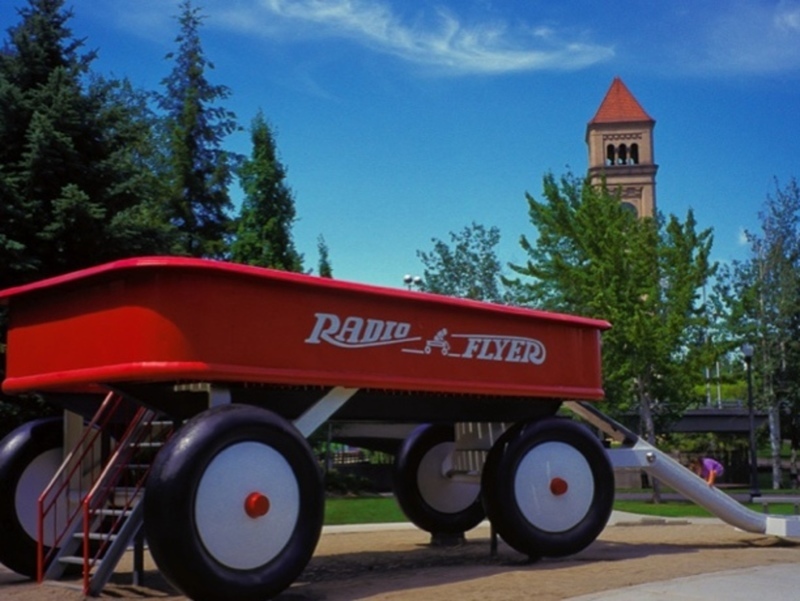 The red Radio Flyer wagon in Riverfront park. Duffer, Robert. "Radio Flyer Celebrates 100 Years with Giant Wagon in Downtown Chicago." Chicagotribune.com. July 13, 2017. Accessed March 18, 2019. https://www.chicagotribune.com/classified/automotive/ct-radio-flyer-celebrates-100-20170712-story.html. Neely, Jamie Tobias. "Making A Difference The Junior League Of Spokane Has Been A Contributing Force In The Community For 70 Years." Spokesman.com. July 13, 2011. Accessed March 12, 2019. http://www.spokesman.com/stories/1995/apr/24/making-a-difference-the-junior-league-of-spokane/. Pefley, Chuck. "Big Red Wagon, Spokane, Washington - by Chuck Pefley." Trover. Accessed March 12, 2019. https://www.trover.com/d/Cjk-big-red-wagon-spokane-washington. "Photo from The Spokesman-Review." Spokesman.com. Accessed March 12, 2019. http://www.spokesman.com/photos/2017/jul/22/400536/. "Riverfront Park Red Wagon." City of Spokane, Washington. March 12, 2019. Accessed March 12, 2019. https://my.spokanecity.org/riverfrontpark/highlights/red-wagon/. Salzano, Matthew. "Ken Spiering Reflects on Building the Riverfront Park Radio Flyer." Inlander. April 22, 2018. Accessed March 12, 2019. https://www.inlander.com/Bloglander/archives/2015/08/17/exclusive-photos-ken-spiering-reflects-on-building-the-riverfront-park-radio-flyer. Sipos, Lacey. "The Call and The Challenge." Spokane Historical. 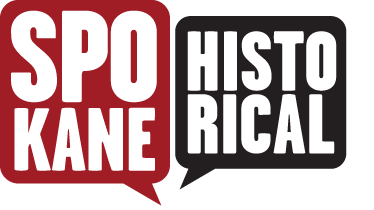 Accessed March 18, 2019. https://spokanehistorical.org/items/show/191. "Spokane Celebrates 25 Years of the Red Wagon." KXLY. November 21, 2016. Accessed March 12, 2019. https://www.kxly.com/news/local-news/spokane/spokane-celebrates-25-years-of-the-red-wagon/176622132. "World's Largest Radio Flyer Wagon." World's Largest Things. Accessed March 12, 2019. http://www.worldslargestthings.com/washington/radioflyer.htm.